In the unlikely event you need to return your item, please follow this guide to see how to properly package your item to prevent damage in transportation. We recommend using the original packaging or bubble wrap to secure the item, please note, suitable packaging can be supplied from us at an additional charge. To prevent excessive movement, please make sure all four corners are covered with the original polystyrene packing or a thick layer of bubble wrap. Also please remove any stands and store these separately in the box facing away from the screen. Once the item is adequately packaged, it needs to be placed in the original box, or a box of similar size. 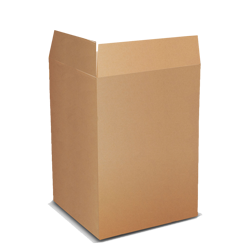 Boxes must be stood upright at all times.Ensure there is no movement in the box. 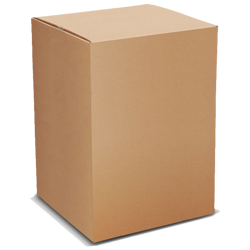 All boxes must be securely taped on the top AND bottom to prevent the item falling out or parts going missing. All parts are to be returned with the item. In the unlikely event you need to return your item, please follow this guide to see how to properly package the product for return, to prevent damage in transportation. To prevent excessive movement, please make sure all sides of the product are covered in bubble wrap. Any additional parts should be wrapped separately in bubble wrap also, and taped. Once the product is adequately protected, it needs to be boxed. We recommend using the box originally supplied with the item, or a box of similar size. The item needs to fit inside the box, ensuring the bubble wrap secures the box from any movement. Be sure the packing is not too tight as this could split the box. Tape up the top AND bottom of the box labelling the contents clearly on the side. If you have any more questions please don't hesitate to contact our customer service team on (+44) 01865 952725. 02. If you are contracting as a Business / Trade customer, this clause does not apply. Any orders by or on behalf of a business cannot be cancelled once they have been placed. An order will be deemed to be a Business Order, if it is paid via business bank account or business debit / credit card, or a company address or purchase order number has been provided. 04. If required we can arrange collection using our courier, who can collect from most areas of the UK. The cost for collections from most parts of the UK is £35.00 including VAT, however other areas of the UK may cost more. We do not offer a collection service for Product(s) delivered outside the UK or to the Channel Islands. 05. The supply of services (namely a Next Day/priority build service - if ordered) will not be refunded because this service contract will have been fully completed within the cancellation period. 07. Except in the case of faulty or miss-described goods, if you do not return the goods as required, we may charge you a sum not exceeding the direct costs of recovering the goods. All original items delivered must be returned with the refund request. This includes but is not limited to welcome packs, software discs, cables, digital download codes such as games, chassis accessories and peripherals. 08. Any software or consumable goods that have been unsealed or activated do not have the right of cancellation and will not be refunded. Please see section 28(3)(b) of the Consumer Contracts Regulations 2013 for further information. 09. A full statement of your legal rights under The Consumer Contracts Regulations 2013 may be obtained in the UK from your local Citizen's Advice Bureau or Trading Standards Office. 10. If the goods supplied to you are physically damaged then you should notify us via email, letter or webmail by logging into your account area within 72 hours of receipt. Failure to notify us with 72 hours of receipt will result in the determination that any physical damage occurred whilst in your care. 11. If you suspect that the Goods are faulty and wish to return them you must contact us within 72 hours of discovering the fault and submit an RMA (Return Material Authorisation) request. 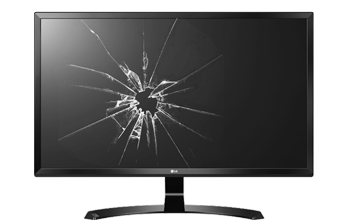 We will examine the returned Product and if you are entitled, we will notify you of your options to either, repair, replace or refund via e-mail within a reasonable period of time. We will usually process your elected repair, replacement or refund as soon as possible and, in any case, within 30 days of the day you confirm whether you opt for repair or replacement, or within 14 days of the day you opt for a refund for the defective Product. 13. For any returns due to damage or suspected faults for orders delivered in the UK, we will arrange for collection at our cost within the first month after receipt or as extended by your warranty provision. Should the product be found not defective then you will be liable for the costs of collection, re-delivery, labour and new packaging if required. We do not offer a collection for orders delivered outside of the UK including the Channel Islands. 14. Peripheral items (any item that is not a computer or laptop) must be returned to us using your own delivery method. We will not arrange for collection of any peripheral items within the first month after receipt or at any time after this date. 15. Where collections are arranged by us, you still have a duty of care to ensure the Products are packaged sufficiently, for the type and value of goods being returned. Due to the nature of the goods supplied, we recommend original packaging is used. If original packaging is not available, new specialty packaging can be ordered from us. Where you use your own packaging, liability for the cost of repairing damage resulting from inadequate packaging rests with you. 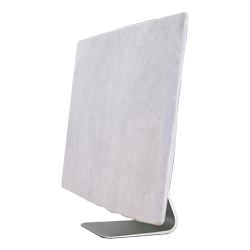 We will only confirm that the item has arrived back to us in a satisfactory condition once we have opened and inspected the item. 17. When returning goods under the 14 day cooling off period, if the goods are not in a resaleable condition or if the goods have been unnecessarily handled we reserve the right to offer only a partial refund.